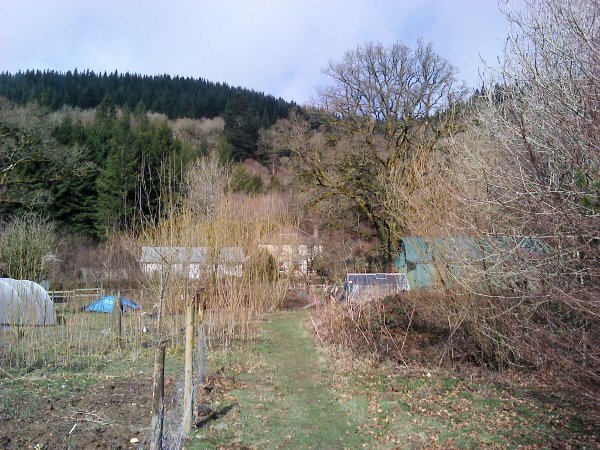 In March 2013 I organised a week long somatic movement retreat in West Wales and was joined by Sally Dean, Sandra Arroniz and Carolina Rieckhof. The retreat was hosted at the stunning new centre run by Maggie fearn and Kerstin Wellhofer- Movement Sense, near Camarthen. Over 6 days we worked on our own research, shared practice and collective explorations. It was a great place to meet the early spring and despite varying ailments and exhaustion it was a fruitful time for us all. My researches didn’t go to plan as I had intended an intensive enquiry though moving and drawing. A bad cold meant all but staring out of the window was too much yet as I watched the trees, the sky, the changing light in the fields and the first greening of spring the slow solo time cast it own vegetative retreat. I was reminded that sometimes not doing very much is still process and although I was frustrated at my lack of “output” the week created a space to reconfigure questions and let them settle in the body. Many thanks to Maggie and Kerstin for their support, to Sally, Sandra and Carolina for being there and to Pablo Troccoli for the wonderful BMC session on skin. The reverberations of your visit continue – it was such a pleasure to have a group here focused on movement and being, just as we planned it might happen … so thank you to all of you for showing it is possible and the space works for you. Tomorrow I will take a picture from the same place – you will be amazed! !